FOR SALE: Golf Resort In Spain A spacious first floor apartment with large terrace overlooking the communal swimming pool.Underground secure parking and full air-conditioning are included and this apartment is offered for sale at a fantastic price. FOR SALE: Golf Villa In Spain A superb four bedroom West facing frontline golf view villa for sale on a popular Golf resort on the Costa Blanca. The villa benefits from a landscaped garden with private swimming pool and separate spa bath. 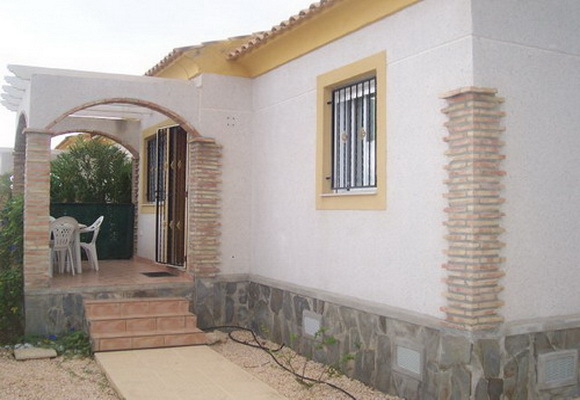 FOR SALE: Golf Properties Spain This detached 2 bedroom villa with sunny solarium is offered at a great price. It offers a superb entry level option to purchase a villa at a similar price to a 2 bed apartment. FOR SALE: Spacious Penthouse Apartment with South facing balcony, situated close to the bars and restaurants, Offered for sale at a fantastic price!! Comprises:2 bedrooms with fitted wardrobes, lounge/diner, kitchen, terrace, off road parking available, double glazing.